After reading Louis Zamerini's nonfictional account of surviving sharks and deranged Japanese guards in a POW camp, Comfort Food by Kate Jacobs (who also wrote the best-selling Friday Night Knitting Club) seemed a bit...trite. Obviously I had to keep reading. And it became deliciously trite. Ms. Jacobs weaves a story (with plenty of of spicy characters) around an aging (ahem - a few years older than myself!) Food Network celebrity in danger of losing her show. The grand old elements of humor and romance spin into some fun and there's even a life lessons learned in the tale. 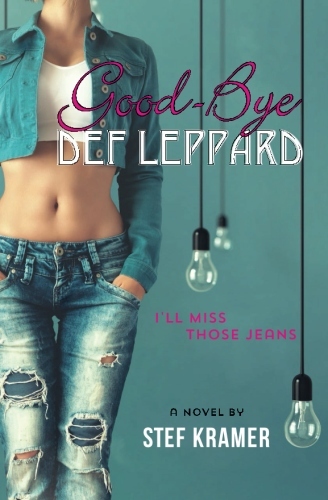 But if you decide to read this book, I'm positive you'll walk away craving...food. I was quite impressed with the author's knowledge of the culinary arts - tossing around terms like canapes, fontina or pimenton as if they were as common as salt and pepper. While these terms probably meant something to real foodies, it was Kate Jacob's descriptives of homemade buns, chicken and noodles, or (my personal favorite) cake that would make my simple tastes percolate. 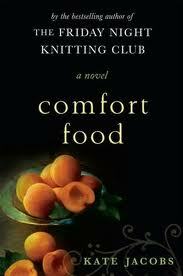 Anyway, I do believe the Food Network owes this lovely author of comfort food some royalties. After completing the book, I was strangely drawn to the TV yesterday...and watched a marathon of celebrity Chopped nearly all day. Coincidence? Me thinks not. I bet I wasn't the only reader who became mesmerized by some chefs after reading this appetizing novel.